We have been representing Mutoh in Malta since 1992. We supply Large Format printing solutions in Malta using Mutoh equipment and other ancillary products. 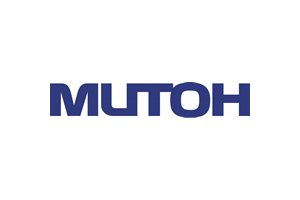 Mutoh is one of the world’s leading manufacturers of high quality wide format piezo drop on demand inkjet printers and sign cutting plotters, setting the standard for innovation, quality, excellent customer service and local presence. MUTOH has been in business since 1953, starting with high end drafting machines, moving to pen/pencil plotter technology and cutting plotters. Mutoh has been active in the wide-format printer industry for more than 20 years. In Europe alone, more than 20000 wide-format Mutoh printers and more than 25000 Mutoh cutting plotters have been installed. Quality is the thread that runs through every Mutoh product. We know that our customers’ business depends on the reliability of our equipment. Quality is integrated into every step of our production process in accordance with our ISO 9001 certified comprehensive quality management system and ISO 14001 environmental management policy.All Mutoh products are compliant with the most stringent EU directives with regards to environment, occupational health and safety for equipment owners and operators. Mutoh products are distributed and supported by a network of certified Mutoh authorised distributors such as Merlin in Malta responsible for sales, installation and after-sales support.Merlin Computers will assist you further in defining the right solution for your application, product pricing and return on investment.